Saturday 30th September – Phil Irons in action with Woodcut Tools. Specialising in hollow forms, internationally recognised woodturner Phil Irons spends the day with us demonstrating the latest turning tools and accessories from Woodcut. 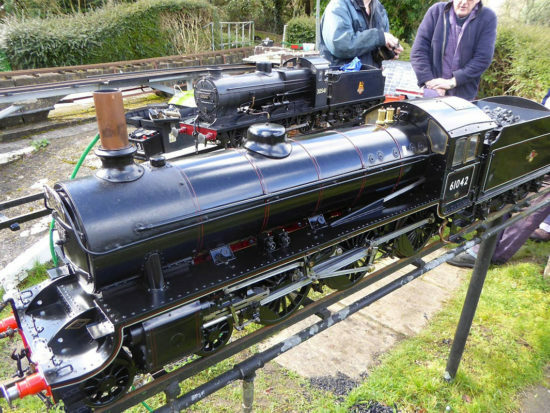 Saturday 7th – Railway modelling with the Blackmore Vale Model Railway Club with demonstrations of airbrushing using the Spraycraft Airbrush and Compressor. Thursday 12th – Festool Power Tools with Jonathan Stead – a perfect opportunity to learn more about these high quality, precision power tools from a Festool professional. In September we opened our new look Live Workshop with a small get-together of customers and members of the management team. Product Development Team Leader, Tim Styles, updated the group on new products planned for later in the year and demonstrated some of the latest tools and jigs from UJK Technology. Our new range of Japanese saws are creating a great deal of interest in store. Please come along and try these super-precise pull action saws for yourself. 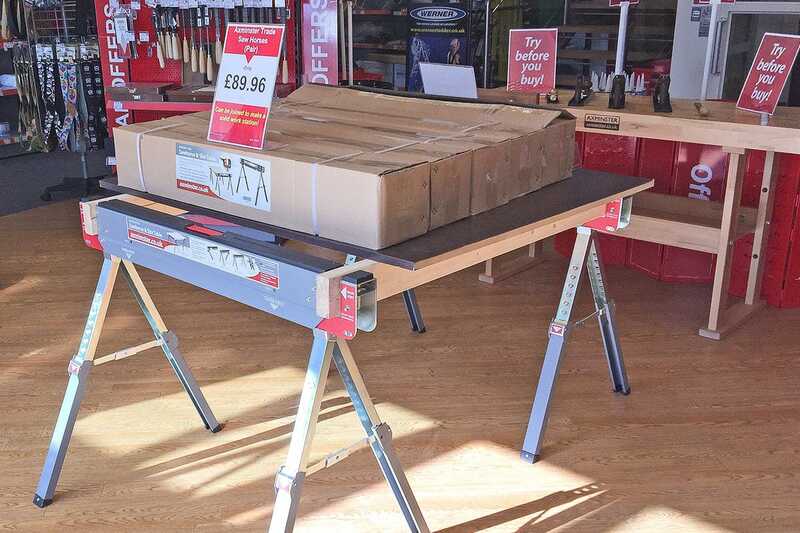 We also have our popular Axminster Trade Saw Horses back in stock – ideal for site work and for heavy duty DIY. Pop into store soon and take a closer look. We’ve had plenty of training for the store team recently with Jack and Shaun both attending courses at Festool HQ in Suffolk, while Dan has been on a router course and Rob attended an Axminster Skill Centre Engineering course. 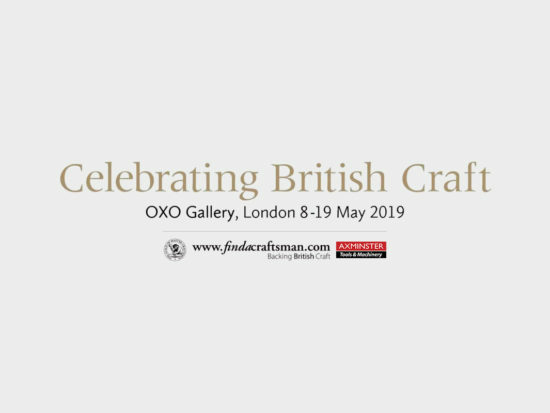 Sunday 1st – Internationally recognised woodturner and Axminster Skill Centre tutor Jason Breach is in store along with the Surrey Association of Woodturners, sharing their collective knowledge, skill and creativity. Saturday 14th – Axminster Trade Series EX-21 Scroll Saw demonstration making small Christmas gifts and decorations. 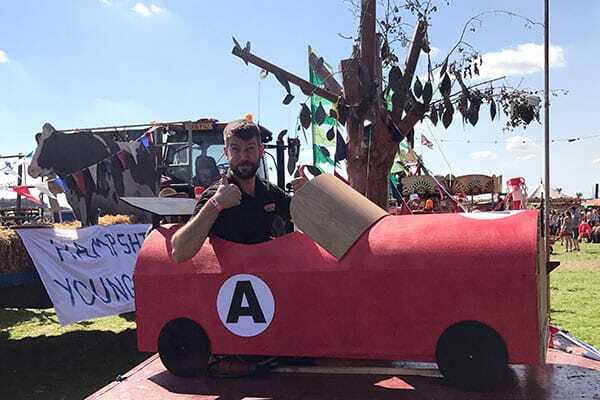 Members of the store team took part in the CarFest South show with the Andover Men’s Shed – providing support and demonstrating a range of tools and machines. Deputy Manager James Peer was an enthusiastic participant! We have three Bosch products on special offer including the Bosch GKT 55 Plunge Saw with rail at £375 (RRP £429.96), Bosch GAS 35 M AFC+ Wet and Dry Extractor at £440 (RRP £499.96) and the Bosch GOF 1250 CE Router at £200 (RRP £239.96). One of our store team members and talented woodworking professional, Matt Estlea, moved into a new workshop in Oxford where he will continue to produce his exceptional bespoke pieces. 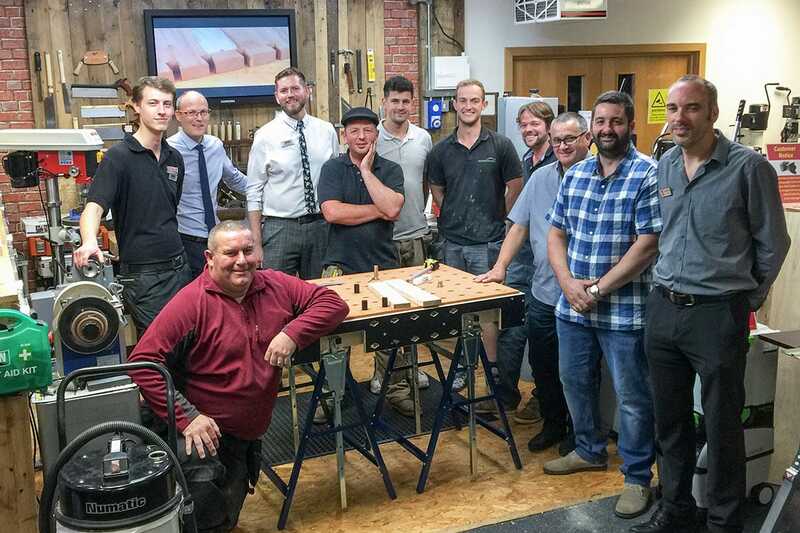 Matt hosted a very successful interactive dovetailing demonstration in store in September and is attracting a great deal of interest amongst a new generation of younger woodworkers. Saturday 30th September – Tutor for the Association of Woodturners of Great Britain, Paul Hannaby, demonstrates his much-acclaimed hollow form and bowl turning skills. Saturday 7th – David Edwards demonstrates the many woodcarving possibilities of the new Arbortech Ball Gouge. Saturday 21st – Sunday 22nd – Weekend Woodcarving with the Welsh Regional Team of the British Woodcarvers Association who are back in store. Members of the store team will be at the Cardiff Model Railway Exhibition, showcasing a range of precision tools and machines for the model maker. Thursday 26th – Festool Power Tool interaction day with professional demonstrator Jon Stead. Saturday 28th – Tormek Sharpening system with Gavin Andrews. 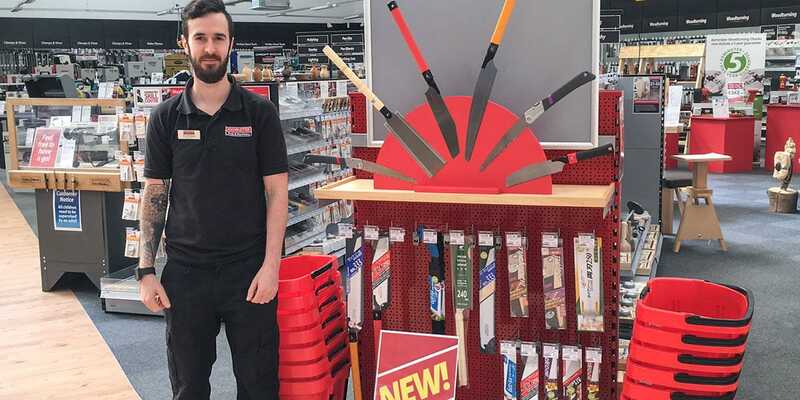 Cardiff store was the first to showcase their new range of Japanese saws and created this eye-catching ‘fan’ display which is attracting plenty of attention. Come along and try these lightweight, precision pull saws for yourself. In partnership with Wentworth Timber Centre, Cardiff store has introduced a range of UK hardwoods which are proving to be a popular feature. 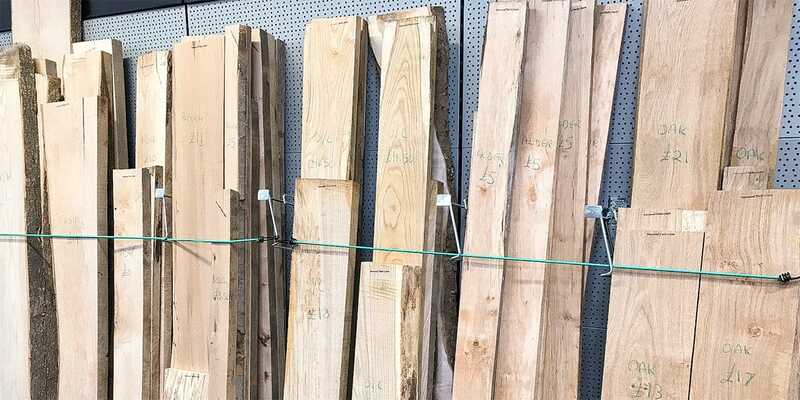 Please come along and browse our selection of hardwoods including Oak, Ash, Alder, Beech, Sycamore and others. Congratulations to Sales Advisor David Kenwrick, who married in September. We wish Dave and Jill every future happiness. Saturday 30th September – A demonstration of the Souber Lock Jig with Talhah Rasool. 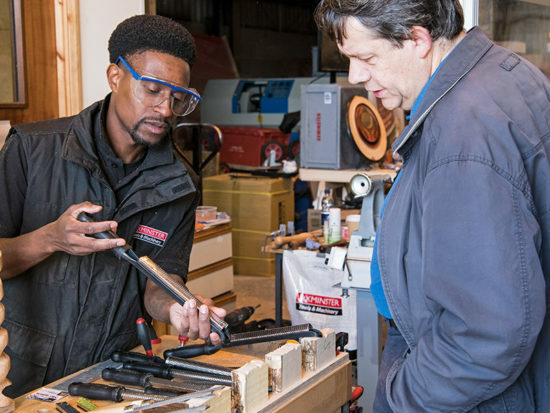 Saturday 7th – Andre May shows how to make a cabinet carcase with the UJK Technology Pocket Hole system. Saturday 21st – Chris Kirk demonstrates dynamic woodcarving with the Arbortech TurboPlane. Thursday 28th – Stacey Davies demonstrates the creative possibilities of scroll saws as we make a variety of Christmas decorations. Our Turning Tuesdays held every second and fourth Tuesday of the month are always popular. 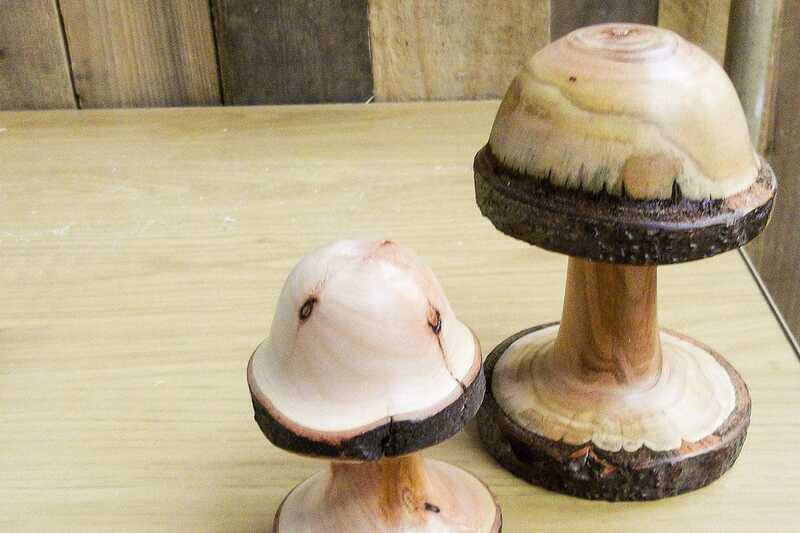 One of our regulars, Malcolm Cleaver, recently produced these finely turned natural edge mushrooms. 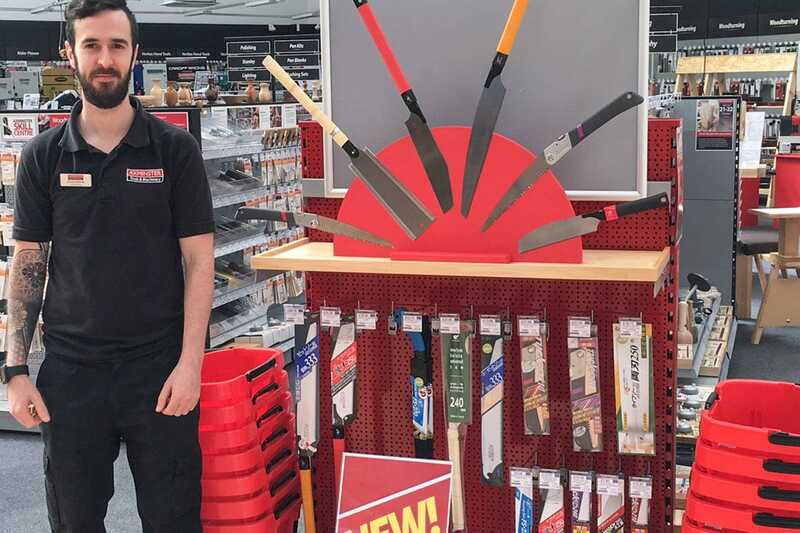 Our newest team member, Lydia Spracklen, has been getting to grips with a range of tools making our Japanese Saw display – it looks like it will be quite impressive. Friday 6th – Axminster Business Services technical consultant, Steve Taylor, demonstrates professional jointing with Lamello machines and fixings. Saturday 7th – Our in-store expert Mark Stewart demonstrates a range of portable and fixed extraction units, explaining how the right equipment can clean the air and help keep your workshop tidy and safe. 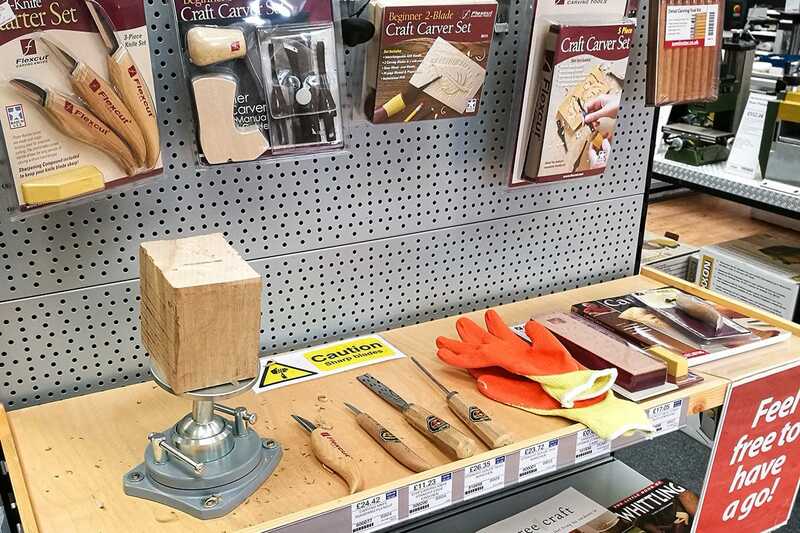 A number of new interactive work stations have been set up in store including a carving station featuring our popular Flexcut carving sets, while a selection of our new Japanese handsaws are displayed and ready to try at the bench. We are proud to be supporting our local ice hockey team Whitley Warriors this season and will soon have new signage fitted at the rink. Look out in store for competitions offering ticket prizes for home games! Thursday 19th – Sunday 22nd – Members of our team will have a stand at the Midlands Model Engineering Show, displaying and demonstrating a wide selection of tools and machines which are ideal for model making, including some of our most popular Proxxon and Axminster products. 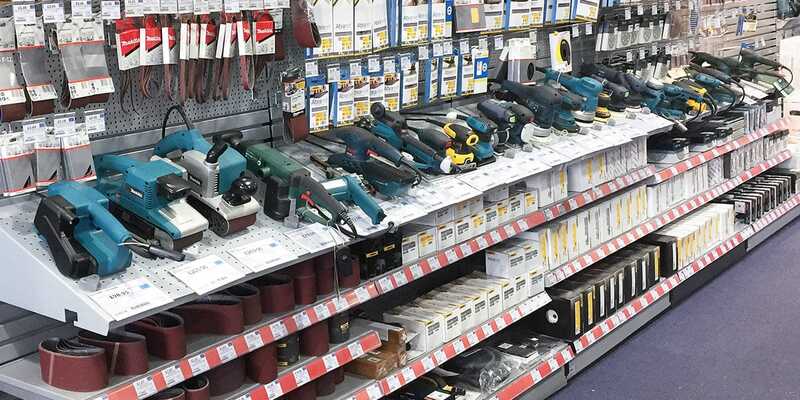 Customers visiting our store recently would have noticed some changes to the layout of our power tools. Most recently, we’ve grouped all our sanding machines together, making it easier for customers to make like-for-like comparisons between various brands. 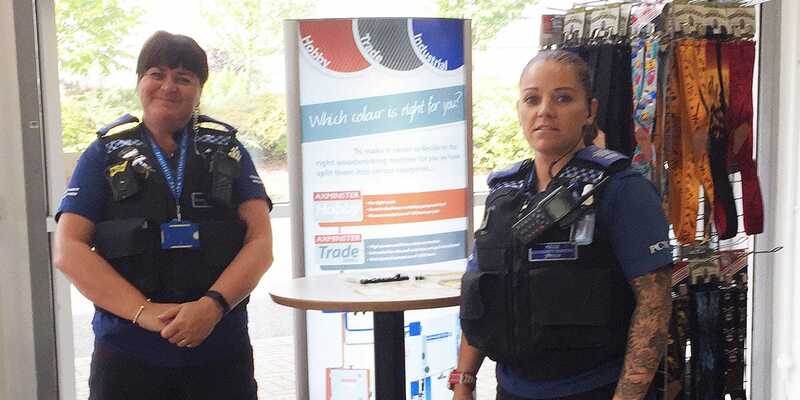 We recently welcomed local Police Community Support Officers to our store to provide valuable information to customers on the prevention of theft and the general security of tools. 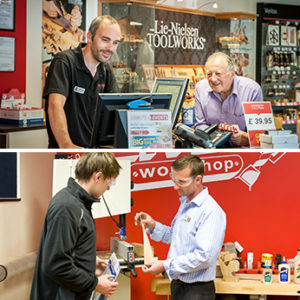 Our Deputy Store Manager, Tristan Ainsworth and our newest team member Peter Marriott are attending Bosch training courses in October to bring them up to date with the latest Bosch Professional range of power tools. 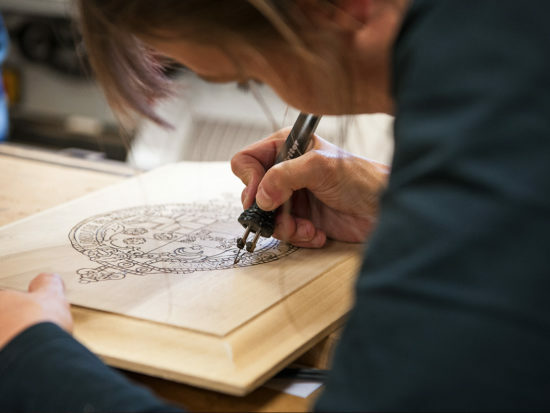 Saturday 7th – The Hamlet Woodcarvers Association are back in our store demonstrating the tools and techniques you need to take your woodcarving to the next level. 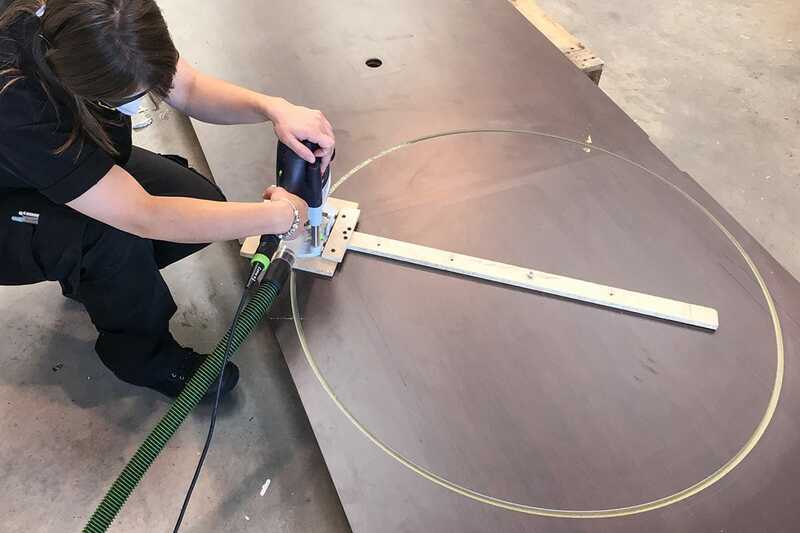 Saturday 14th – We set up and demonstrate the many creative possibilities of the Axminster Trade Series SBW3501B Bandsaw fitted with an Axcaliber Premium bandsaw blade. Saturday 21st – Lamello biscuit jointing with Alex Wade. Come along and learn more about these high precision jointing machines. Saturday 28th – A demonstration of the impressive capabilities of the Axminster AT107PT Spiral Planer Thicknesser. 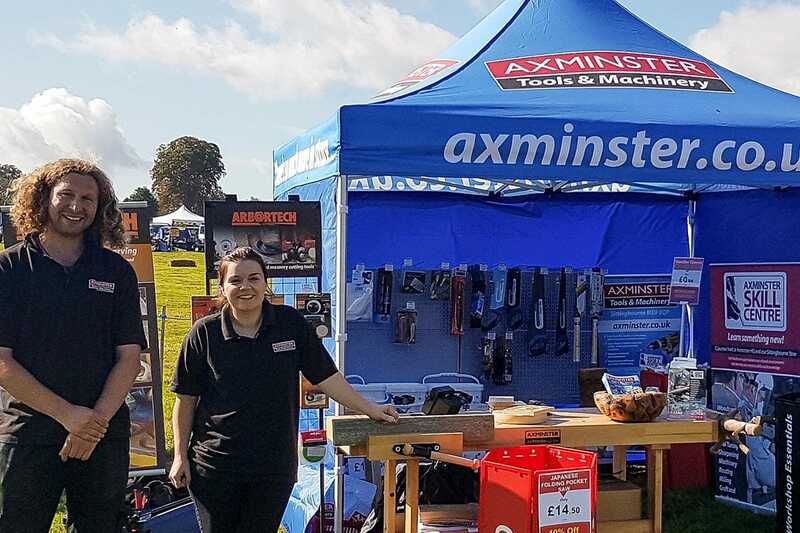 Sittingbourne store attended two shows in September – the Bentley Woodfest and the Belmont Wood Fair – attracting great interest in Arbortech power woodcarving products, Japanese handsaws and Axminster APF 10 Evolution powered respirators. We made many new friends and we look forward to welcoming them in store soon. Our Japanese hand saws are proving to be as popular in store as they are at outdoor events. Come along and try these unique pull action saws yourself. Our Deputy Manager Hollie Wise has just returned from an intensive two-day training course at Tormek HQ in Sweden and is honed up and ready to advise our customers on any aspect of Tormek’s world-renowned wet sharpening systems. Saturday 30th September – We host a unique woodturning double bill with top UK turners Steve Heeley and Tracy Owen in store demonstrating creative woodturning at its best. Saturday 30th – Sunday 1st October – Shaunie and Dave from the store team are at the Wigan Model Railway exhibition. Pop by and chat with them about your model making tool and machinery requirements. Saturday 14th – Store Manager Phil Lewis demonstrates how to get best results from the versatile Fuji Spray system. Saturday 21st – Using an Axminster Trade Series EX-21 Scroll Saw, we share a few creative ideas for Christmas gifts and decorations. Our regular customers will notice a new store layout with a number of changes to make your experience of the store more enjoyable. Products are displayed by category, making like-for-like comparisons between brands easier. We’ve also extended our Live Workshop and provided a better monitor screen and microphones to make sure you get the most out of our demonstrations and events. Store Manager Phil Lewis recently completed a two-day routing course at our Axminster Skill Centre and is ready to answer all your questions on various categories of routers and their applications.